H is for Hawk is a memoir which confronts themes of depression, obsession, and loneliness; all of which Macdonald artfully highlights in her first scene describing the tumultuous “landscape [she’s] come to love very much indeed.” This English landscape is reminiscent of all the grey-scape dreariness that postmodern authors like Thomas Pynchon evoked when describing industrialized Britain; a land of “twisted pine trees, burned-out cars, shotgun-peppered road signs and US Air Force bases.” Macdonald’s self-proclaimed love of the desolate is explored throughout the memoir, with the motif of a lost and desolate world as a common thread. In the beginning of the memoir, Macdonald’s father passes away from a sudden accident. Macdonald’s emotional foundations are sundered and she is left longing for “that world already gone, [where she] was going for dinner with Christina . . . who’d been there all along, sitting on the sofa when the phone rang.” The death of her father silently kills the world which she lived in. Macdonald’s isolation and depression also play out in her own attempts to dampen the natural ferocity of her goshawk, a process which is juxtaposed with the futile attempts of the literary giant T. H. White to train his own hawk. Macdonald digs into the life of White and discovers a past of abuse and despair which played out into White’s search to regain that childhood which he felt he has lost. In Macdonald’s desire to relive that time of innocence in which her father was alive, a feeling of deep empathy is established between the two authors. In one of the most gripping scenes of Helen Macdonald’s memoir, T. H. White wanders a darkened barn after having spent two sleepless nights attempting to break the will of Gos, his temperamental Goshawk. In a manic fervor, White “had refused the humanity in favour of hawks, but he could not escape himself . . . He found himself in a strange, locked battle with a bird that was all the things he longed for, but had always fought against.” It is a jarring scene, as those who are familiar with White know him as the author of The Once and Future King, the man who forged the modern mythos of King Arthur and inspired the countless medieval dreams of children. In this scene, White’s red-rimmed eyes are facing the deep schism that separates his amiable public self and the insecure child buried in his soul. 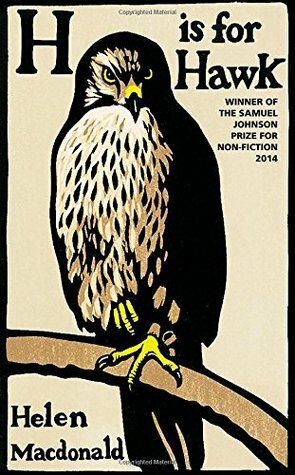 Macdonald turns towards her relationship with White’s work, specifically the pseudo-autobiographical novel The Goshawk, to confront her own world split in two by grief. She utilizes her pedigree as a research scholar from the University of Cambridge to present a well-detailed and factual historical analysis of the art of falconry and T. H. White’s literary impact, enriching the memoir with a scholarly depth that pairs well with her evocation of raw emotion. The breadth of topics which Macdonald effortlessly blends together is astounding; she proves to be a true artist who understands both complex philosophy and the potential of memoir. Macdonald deconstructs the invisible wall dividing history from present in her deeply personal analysis of White’s literature. However, it is her emotional vulnerability that will draw most readers in; Macdonald’s candid style paints a beautiful picture of the paradoxical mania which brooding depression can cause. Macdonald’s soaring prose combines with an intoxicating topic that allows H is for Hawk’s to sink its talons into readers of any background. About the Author of this Post: Nathan Leatherman is a junior at North Central College majoring in English with a literature focus. He spends his days reading books, braiding his hair, and relaxing next to bubbling brooks. His goal in life is to own a private library/dog hotel.